Sharp has confirmed that the long-awaited final instalment of Qualcomm‘s $120 million investment in the company has been completed today. The deal was announced in December 2012, with the first half of the investment completed weeks later, but it subsequently hit problems. The second portion was originally due before the end of March, but it was delayed after Sharp failed to pass pre-agreed conditions attached to the deal. Earlier this month, Sharp confirmed the final 6 billion Yen (around $60 million) was due June 24, and — now paid — it gives Qualcomm a further 11,868,000 shares and a total stake of 3.53 percent. That makes the US firm Sharp’s third-largest shareholder — behind insurance firms Nippon (4.7 percent) and Meiji Yasuda (3.8 percent) — and the largest outside of Japan. The Sharp-Qualcomm deal was more than a straight-up investment. The two companies are working to combine Qualcomm’s MEMs display technology with Sharp’s IGZO technology to develop a range of new screens for devices of varying sizes and types. Sharp estimates that in order to commercialize the MEMs technology it will spend the investment from Qualcomm on general costs (1.2 billion yen — $11 million) and acquiring equipment (4.6 billion yen — $47 million) to develop product lines, production facilities, and make other preparations. 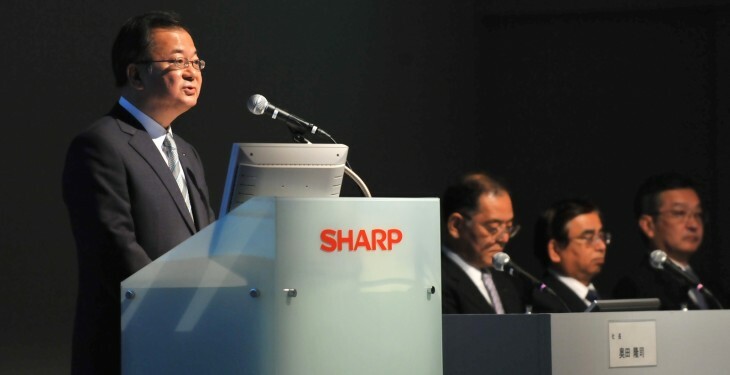 Sharp survived a difficult 2012 during which it made numerous job cuts and watched its credit rating fall to ‘junk’ due to financial issues. Furthermore, the company failed to close out an $806 million investment deal with Hon Hai (known as Foxconn) which finally fell apart in May 2013. Yet, it did snare the $120 million deal with Qualcomm, and Samsung bought a 3 percent share in the firm for $112 million in March — both of those deals raised investor and company hopes that the firm can turn things around and avoid liquidation.